Butting up against the gentle rise of Northern Colorado’s foothills, Fort Collins brings a serious love of the local to everyday life. In recent years, the college town has earned accolades for its craft brews, innovative spirit and assortment of farm-driven dining. 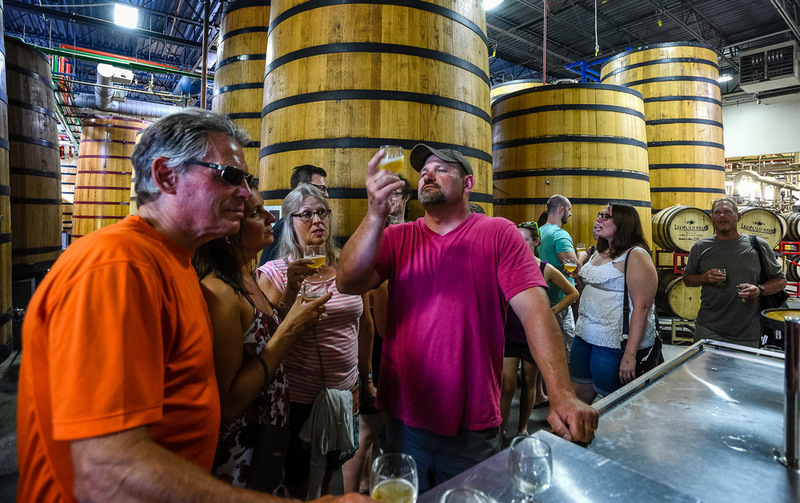 Fort Collins is home to dozens of craft breweries, distilleries and cider makers and many restaurants routinely source ingredients from nearby growers and ranchers. Creative co-ops, a monthly art walk and city-sponsored street entertainment ensure that the visual and performing arts get their due. In Old Town, the shops tend to be quaint Main Street boutiques rather than big box stores. Some even post reminders of the economic benefits of spending in small businesses. But the best part for sustainability-oriented visitors may be that this platinum bicycle city just begs to be explored on two wheels. Beeline to the heart of Old Town and check in at The Armstrong Hotel. Family owned and operated, the historic inn maintains its original character with sleek 1920s architectural lines, original glass tiles, refurbished wood detailing, and a precisely reproduced 1940s-style neon sign. Be sure to give some love to Oreo, the slate-grey lobby cat before unwinding and freshening up in the simple elegance of your room. Start the evening with a stroll north on College Avenue to launch your craft beverage tour with creative cider flights and locally distilled rum or vodka. Recently expanded Scrumpy’s Hard Cider Bar is decked out pub style with dark wood booths and brick walls showcasing local art. Just up the street, Copper Muse Distillery holds tastings and mixes up killer cocktails using its own small batch spirits. Both spots serve food, but make sure to save room for dinner. Begin making your way south to Oak Street, exploring Old Town along the way. Slip behind a brightly painted community piano or duck into an alley to spy a local artists’ mural. If it’s the first Friday of the month, take advantage of Art Walk and the galleries’ extended hours (most open from 6pm to 9pm). Wrap the night up with dinner on a quiet side street. Fish Restaurant and Market serves seasonally available, responsibly sourced seafood expertly prepared from scratch. Seriously consider making reservations as this unassuming little joint fills up quickly. Wake with the Colorado sunshine and borrow a cruiser bike from the front desk. Ride to Old Town Square and grab a coffee and fresh made pastry at Little Bird Bakeshop before hitting the trails. 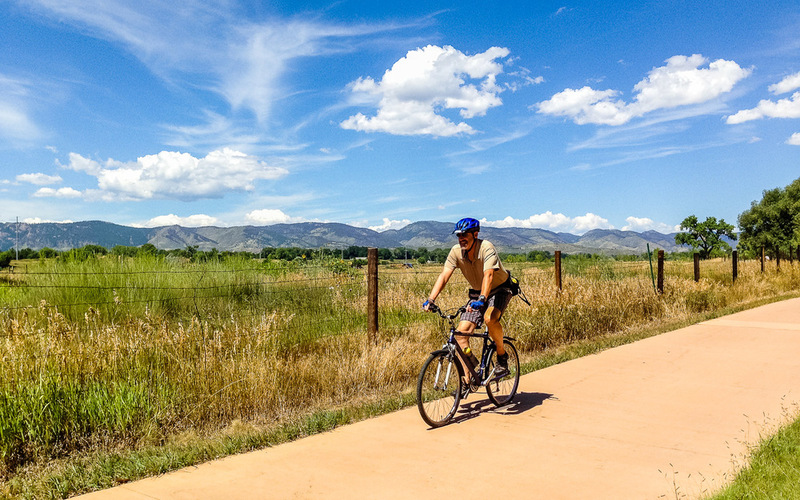 Hop on the Poudre River Trail and follow the river bank toward the foothills or head south, cutting through Colorado State University campus to the Gardens on Spring Creek (a flat 2-mile ride). Once you’ve worked up a fresh appetite, come back through Old Town and ride a mile east on Mountain Avenue to Fort Collins Brewery. Start your craft beer tour with a flight and a locally sourced lunch at Modern Tavern — they’re even building a garden on the roof! As you meander back toward town, visit our flagship, energy-efficient microbreweries, Odell and New Belgium, for more samples and a tour. If you want to spend your afternoon like a local, patio-hop or check out the smaller breweries scattered throughout downtown. Otherwise, take a booze break to feast your eyes at the Fort Collins Museum of Art. Drop the day’s two-wheeled transport back at the hotel and sneak upstairs to nap off the beer and biking. Wake up renewed and set out for a seasonal meal based around ingredients from local farmers and ranchers: go high-end at The Kitchen or tuck into vegan heaven at Tasty Harmony. Hit the town for after-dinner craft cocktails at speakeasy bars Social or Ace Gillettes Lounge (under The Armstrong Hotel). Wake up early and grab a cup of on-site roasted coffee at The Bean Cycle on your way to the sample Colorado’s more rugged outdoor treats. Just outside of town, the 5-mile round-trip out-and-back trail to Horsetooth Rock rewards with airy vistas of the city. If you’ve got extra time and a love for wildlife, drive an hour north to Soapstone Prairie (closed November to March), where you may glimpse the recently re-introduced bison herd. Head back through town before making your way to the airport and wrap up your weekend with brunch. A community favorite for forty years, locally owned Rainbow offers fresh food and one of the best patios in town. New kid on the block, The Farmhouse at Jessup Farm serves up hearty farm-to-table brunch, some of it sourced from its own backyard. To maximize your flexibility, fly into Denver and rent a car, though you probably won’t need it much. Free lot parking is available through The Armstrong Hotel. Try tooling around town on two-wheels: Fort Collins is very bike friendly and relatively flat so even if you don’t ride regularly, you’ll have a blast. The Armstrong Hotel loans cruisers free of charge to guests and Bike Fort Collins’ bike share program rents seven-speed bikes for a fee. See Prague’s unmissable sites and enjoy responsible accommodation and eats with this guide.See Prague’s unmissable sites and enjoy responsible accommodation and eats with this guide. Budapest has all the romance and complexities one would expect from a town that dates back to the Stone Age. Explore it on this wayward weekend. As the major French-speaking city in North America, Montréal stands out as a unique and historic city that transports visitors to another time and place.